Wood herringbone flooring idea exactly offers much of warmth and elegance in simplest way. 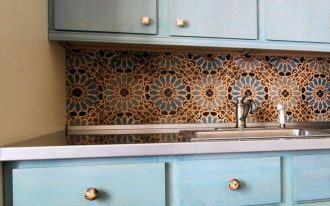 It showcases purely natural element for any interiors of home, and at the same time it makes a statement through its unique pattern, texture, and color. Well, through this page, we’re gonna share ten most-instagrammable ideas of wood herringbone floor ideas hopefully will bring you more inspirations. Let’s check these out. 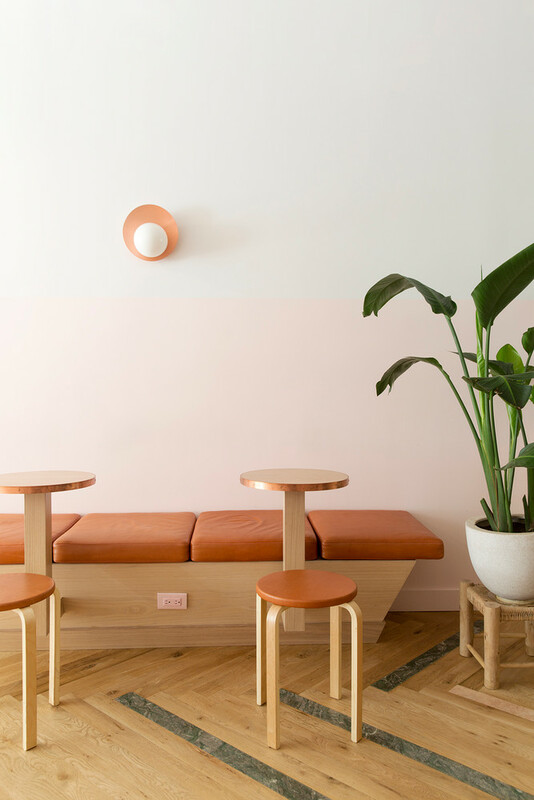 Wood element dominates this eatery, including the flooring. With gray highlights on floors make the base looks a little bit different but still fit the whole furnishings. Overall, both furnishings and floors create a dynamic setting. It’s true that darker wood floors can actually give cleaner and warmer feel to this kitchen. 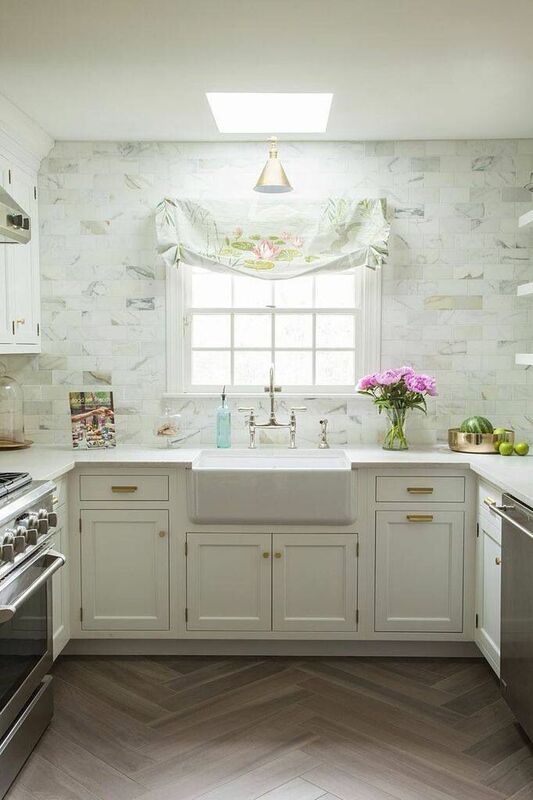 The herringbone pattern, of course, lets you feel the textural color that also definitely adds the unique visualization to this cooking space. 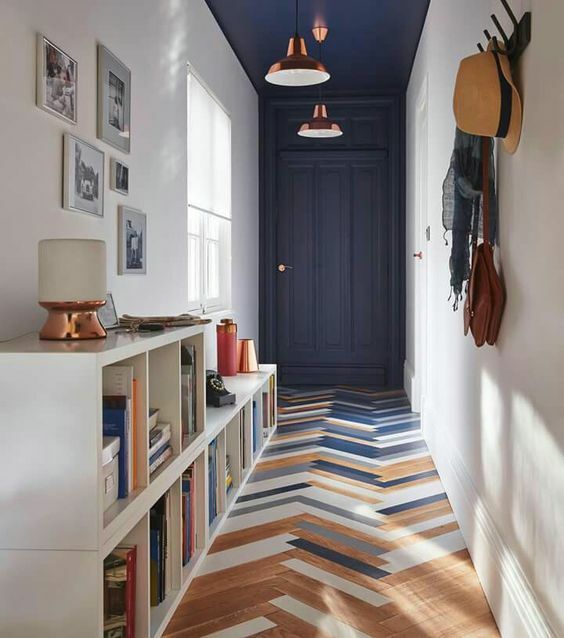 Herringbone tiles in multicolors – they’re really stunning for such a narrow hallway, but able to bring a huge impact to the space, especially a thing related to color choice for this room. 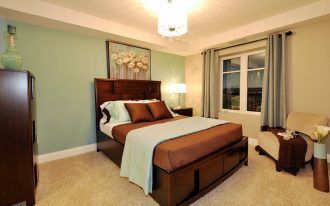 Take a look at the color composition; each color (navy blue-white-wood color) is well-applied on floors, too. Let you know that these floors are built from light timber stained in myriad of colors. 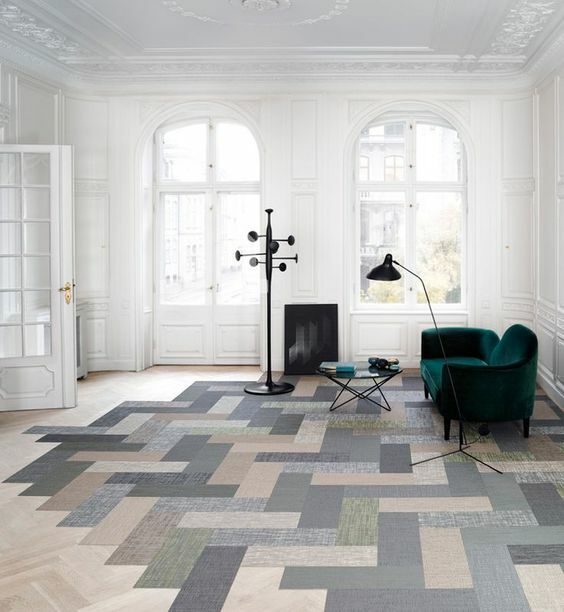 Their herringbone patterns make them easier to set each color – making the floors look so busy yet beautiful. With this flooring idea, this favorite spot won’t be boring. 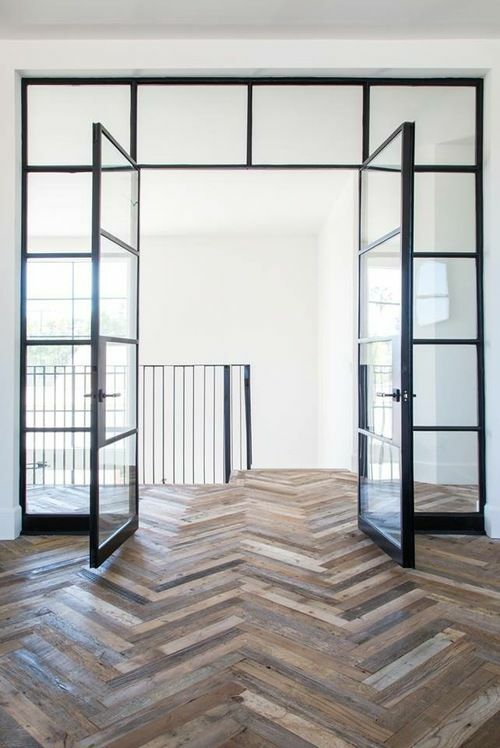 Steel door featuring reclaimed herringbone tile floors. Both elements are obviously different in texture and visualization, but they can create a good balance when combined. Warmth is felt on base, while heavy & sturdy profile is truly existed on top. Give stunning stains on your wood herringbone tiles for more colorful & crowded profile. Make these colored stained as the accents of space. Then, get some bold & dark furnishings for the best matches like this sofa, floor lamps, and pop art. 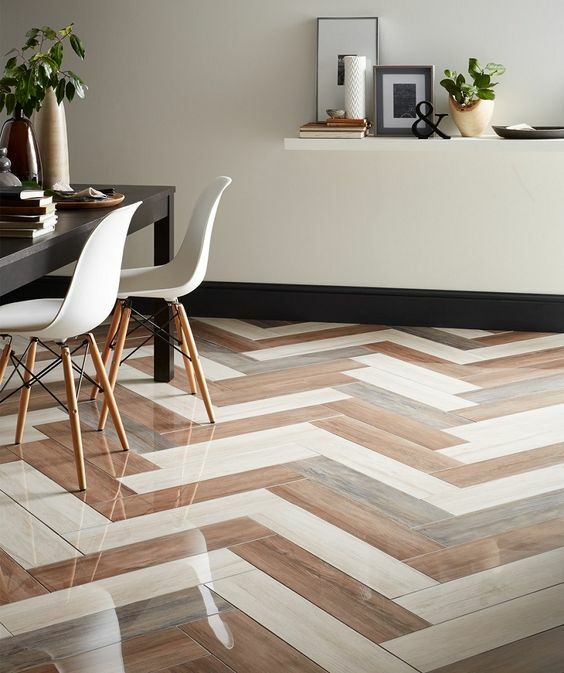 This herringbone tile helps you to get a wood-effect with full of luxury. The tiles are surfaced with Nayara polished in three different colors, really matching for both floor and wall of all interiors. 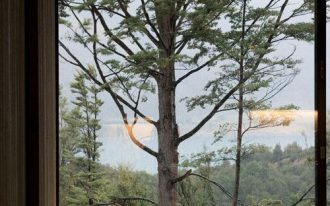 If you’re looking for unique hardwood flooring for your home, this one is so recommended for you. 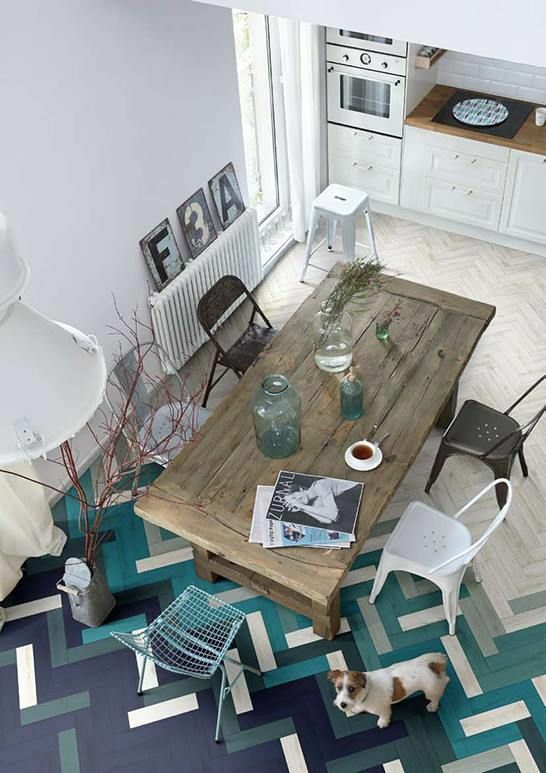 With herringbone pattern, this flooring installation is totally different in visualization. They’re in separated way of installation that shows different material (hardwood & concrete). 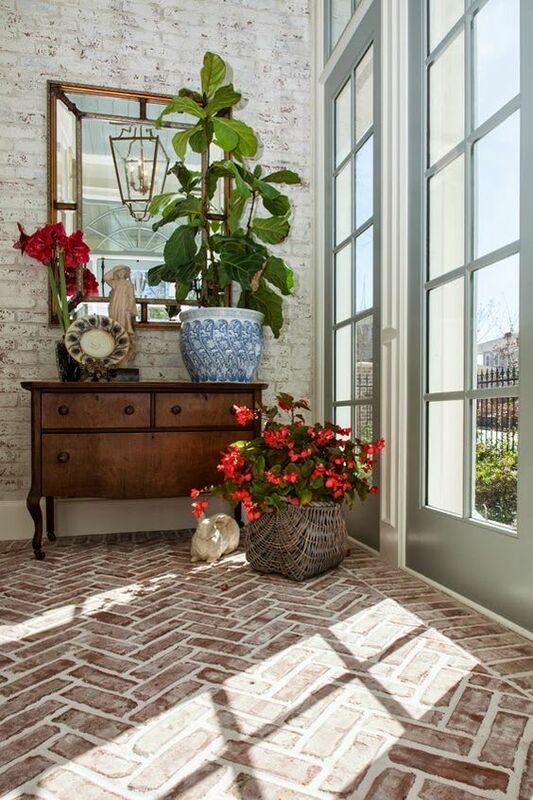 About the pattern, herringbone gives point plus; it visually adds special character to the space. Less & light but full of elegance. 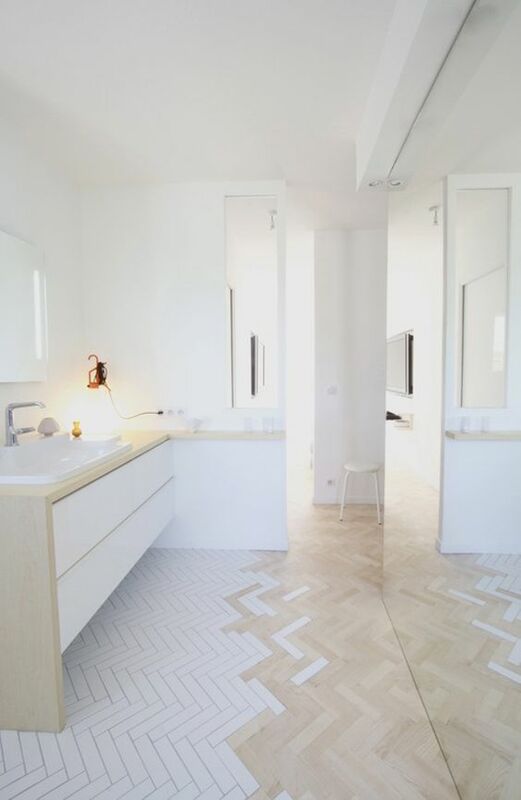 Herringbone tile in two colors makes this space so bright & clean. It would be perfect if you feature it with other light-toned interior pieces like this light wood furniture. 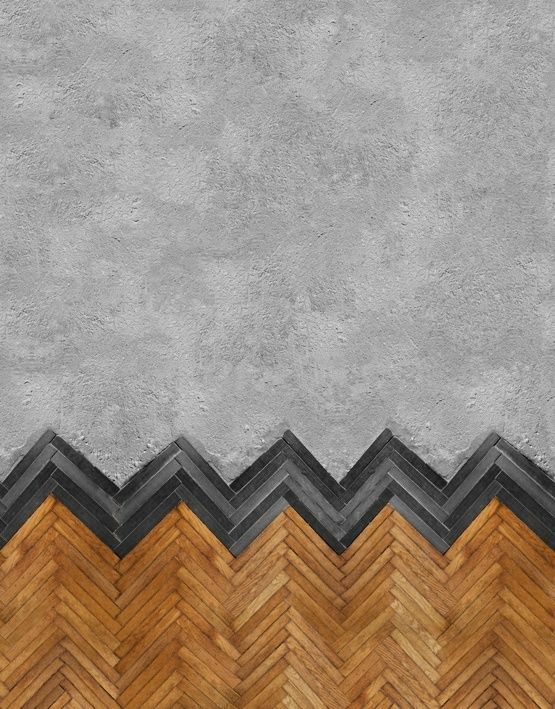 Rustic flooring idea with herringbone pattern. It’s so lovely especially if you wanna add a bit rustic to your space. Made of red bricks with a little bit whitewashed finish, both floor and wall look clean but still expose the real rustic.